A wedding is a beautiful association of two people who take vows to live their life together and support each other through ups and downs. A wedding is an amalgamation of two individuals into one entity, and this bond is to be cherished forever. 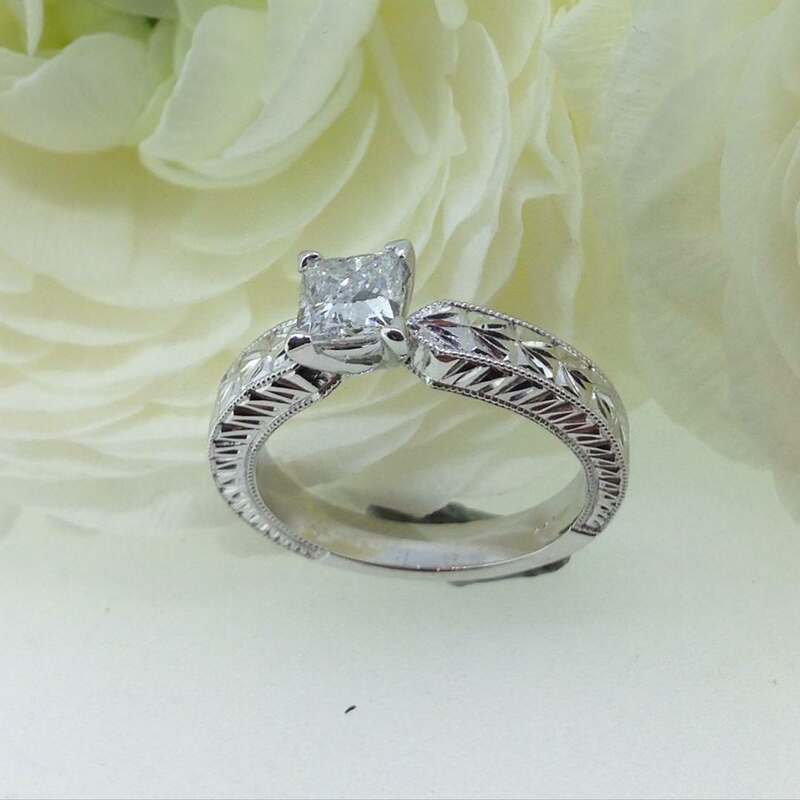 It is always a great idea to tie this relation with a special wedding ring. A wedding ring is a symbol of love, commitment, and loyalty. These rings are a beautiful way to celebrate the sacred association. 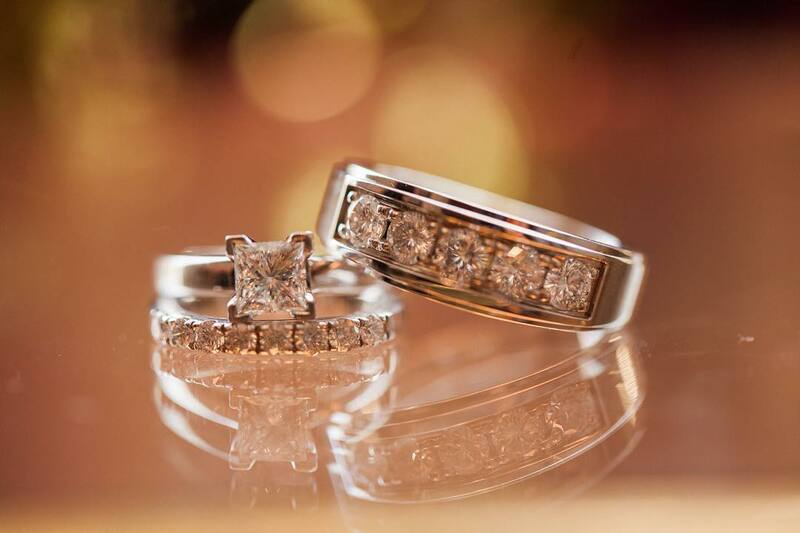 There are various types of wedding rings available in the stores. They come in different shapes and sizes and can be selected going by the choice. 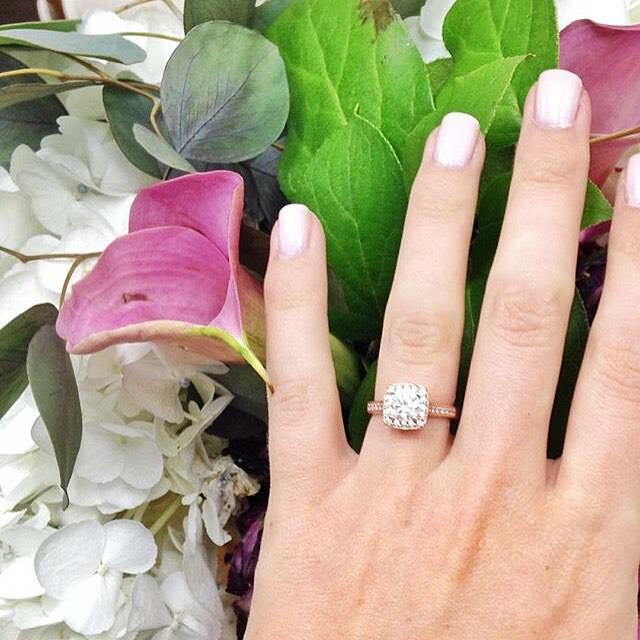 Diamond rings are inevitably the most common wedding rings, always. And, even diamonds are available in various cuts and shapes. 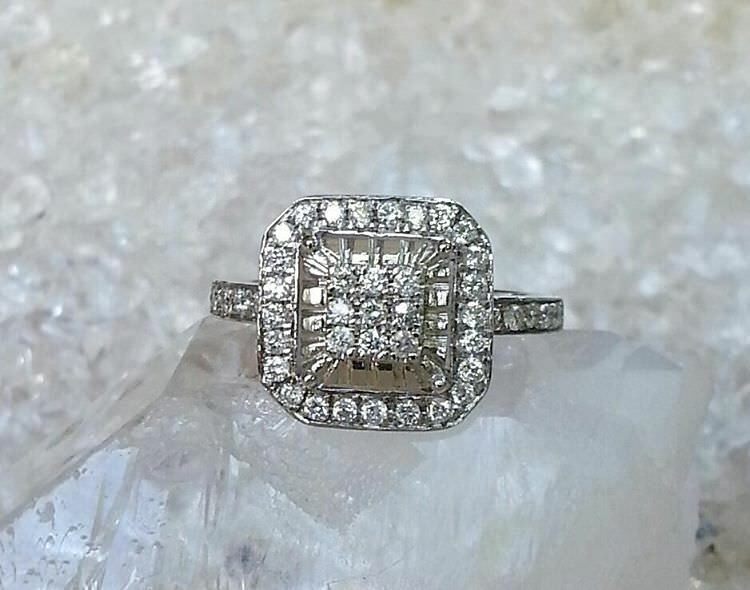 These diamonds are often compared with square emerald cut diamonds because they have shimmer just like that of emerald cut diamonds, in a square shape. 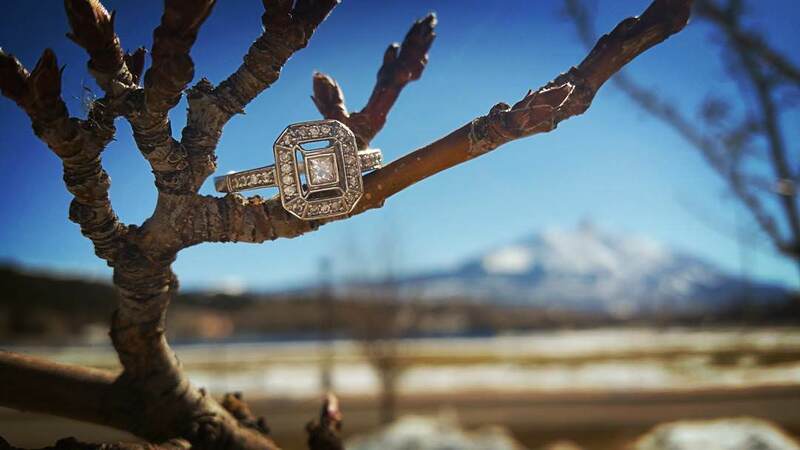 Asscher cut diamonds are sophisticated, elegant and classy. 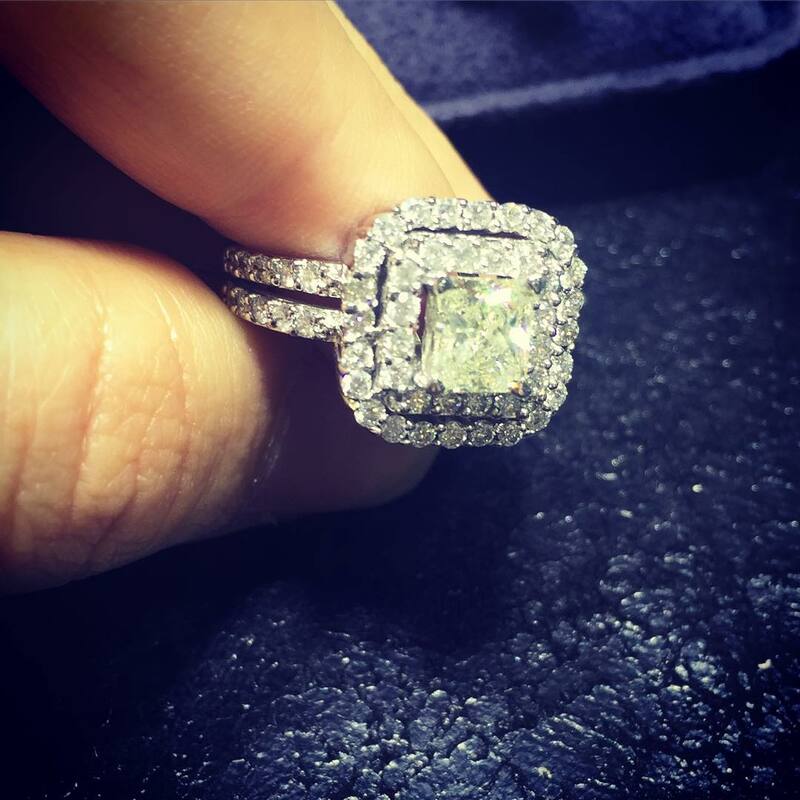 These square emerald diamonds are fresh and contemporary, an apt choice for engagement rings. The shimmer of the diamond that reflects in lights gives an opulent feel. These diamonds look beautiful in a solitaire form, which reflects modernity and vintage. The ring sports an antique look. 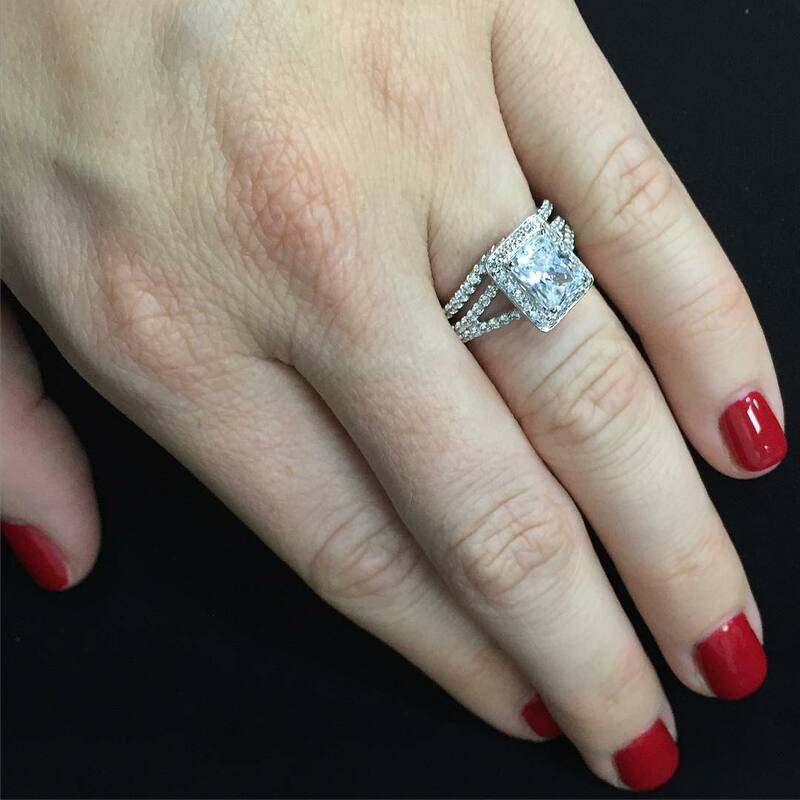 Asscher cut diamonds look beautiful in white gold and platinum bands. 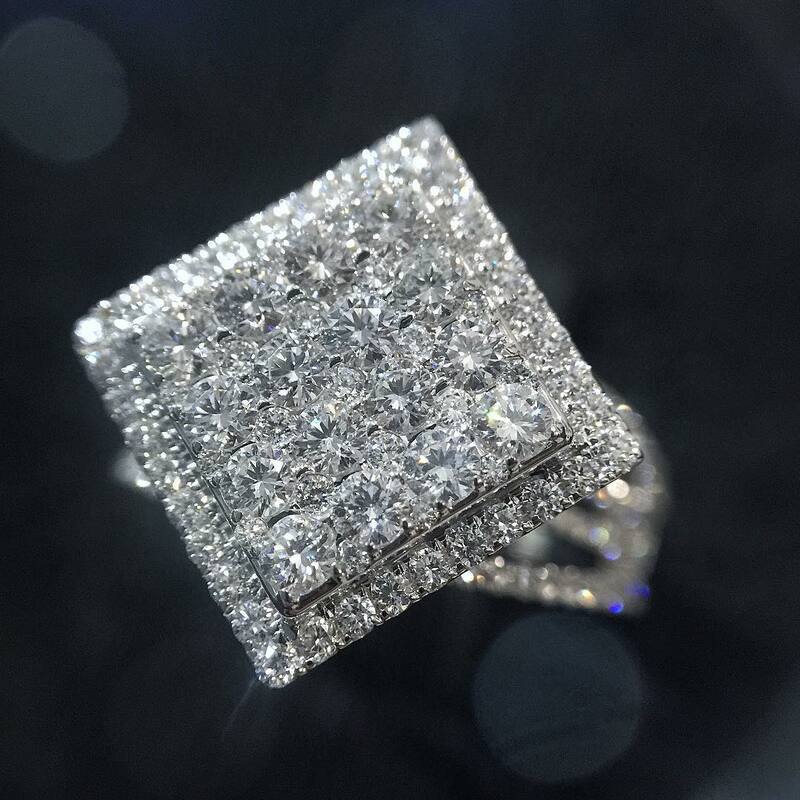 This diamond is perfect for people who love round shape but wish to try a square cut. 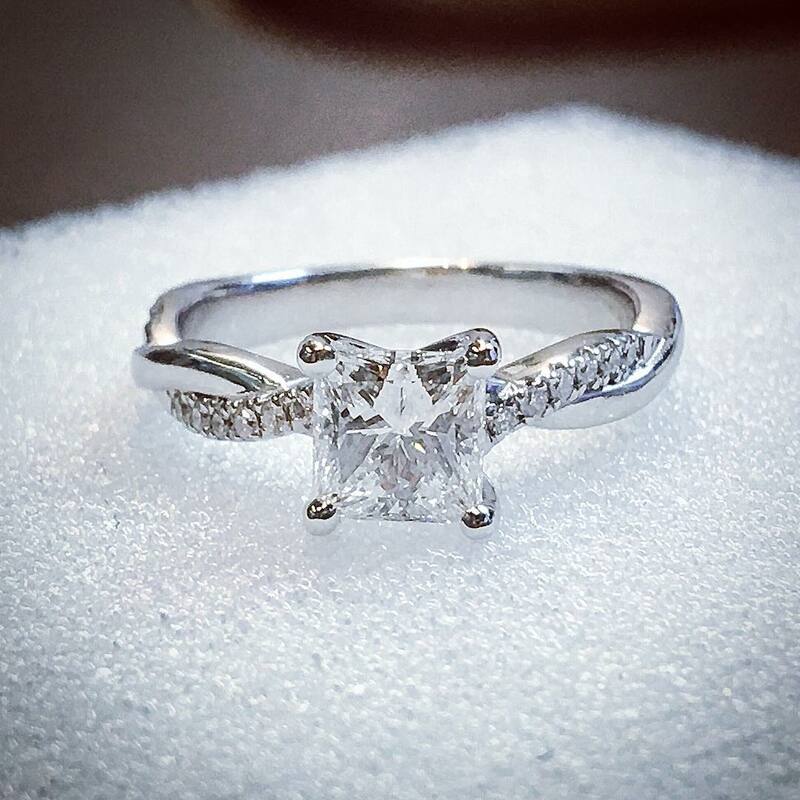 The princess cut diamonds are basically round in shape but have pointed corners to give a sharp edge and square like contemporary shape. 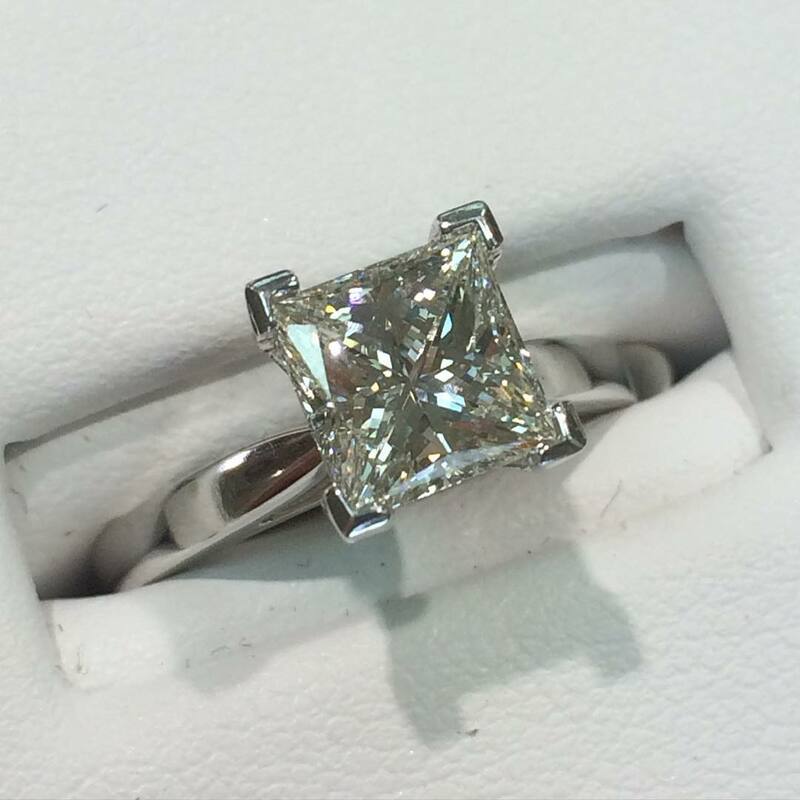 Princess cut diamonds are the most popular and second most preferred rings after round shape. The beauty of these rings can be enhanced by making a solitaire or adorning with small round diamonds on all the sides. Radiant cut diamonds are square shaped but have trimmed corners so that they look less sharp than that of a princess cut diamonds. 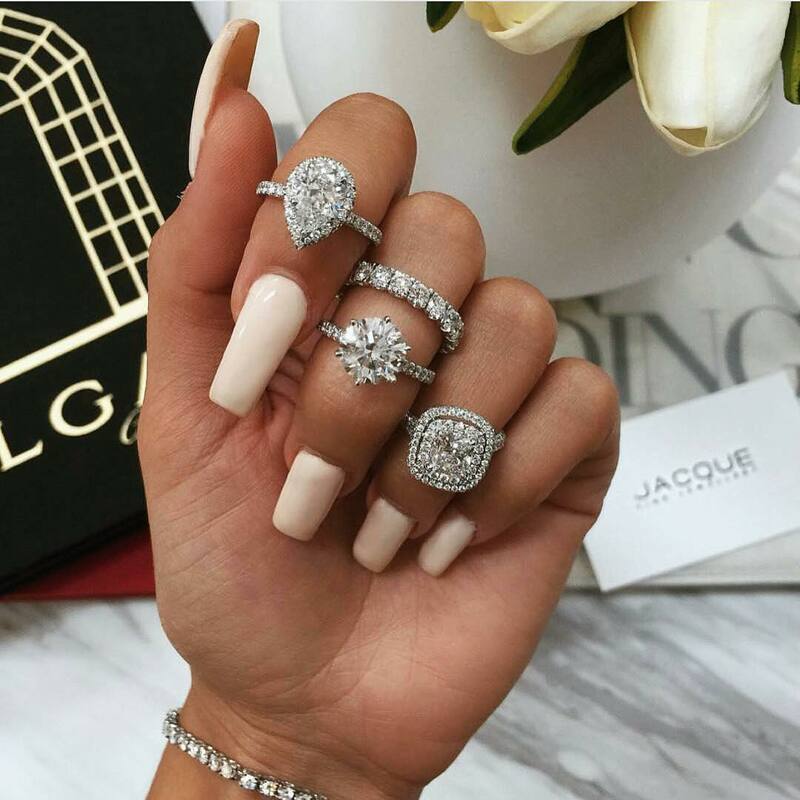 These diamonds are a unique combination of modern cuts and elegance. These cuts look apt in a solitaire setting, enhancing the shape of the diamond. 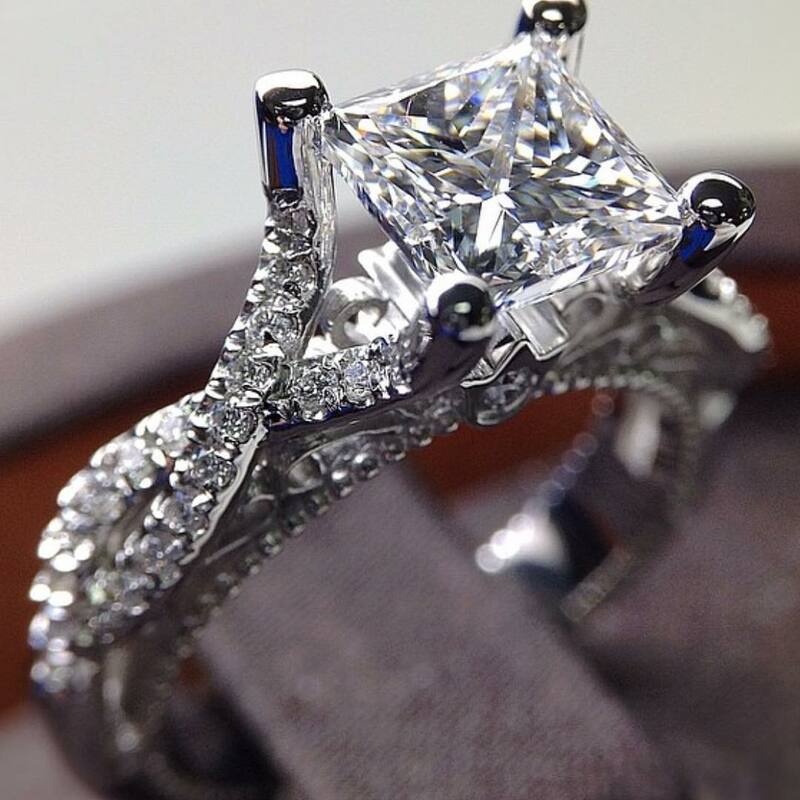 They will fit in any shape of a ring because of the brilliant cut. 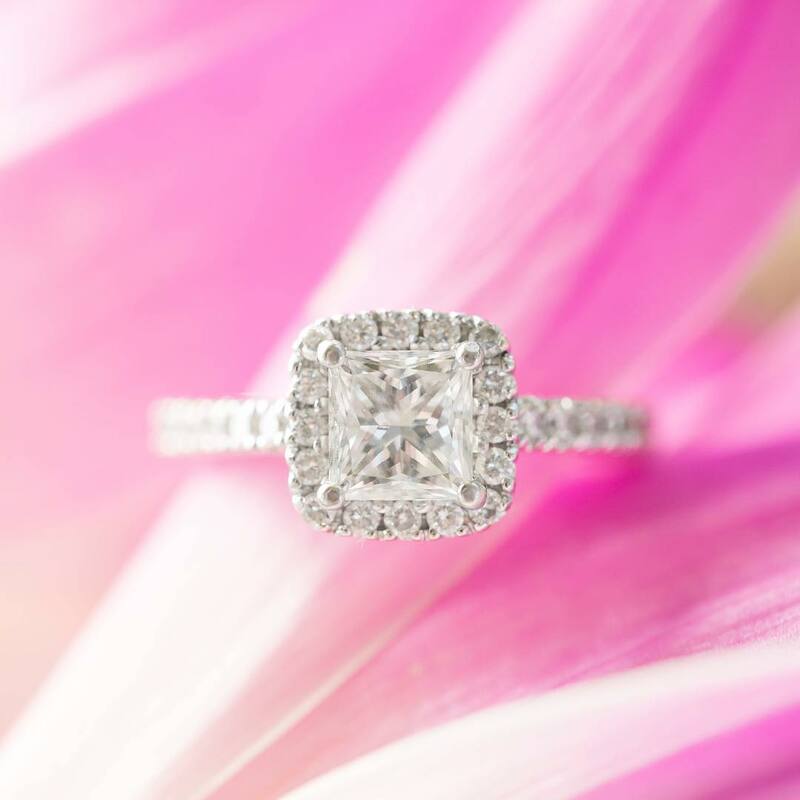 Cushion cut pretty diamonds have traits of round, oval and princess cut diamonds. These are basically square shaped diamonds with round corners, and give the much-needed softness to the final effect. 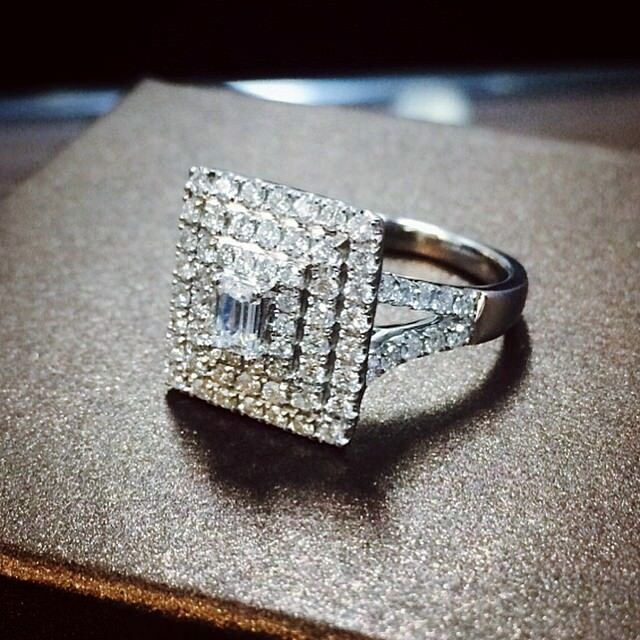 The cushion cut gives a romantic look to the square and a rectangular diamond. It is the most preferred choice for women who have a penchant for vintage fashion. 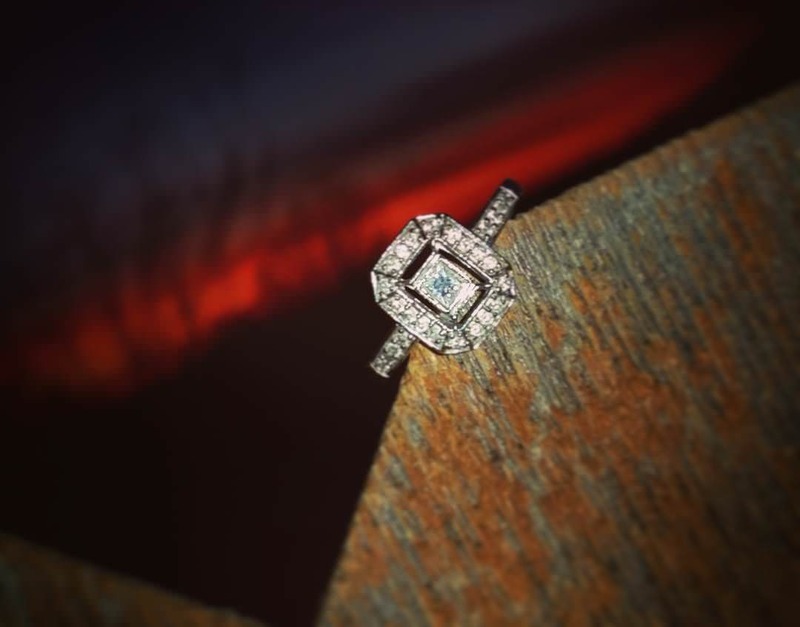 The contemporary techniques make these diamonds brilliant than older designs. 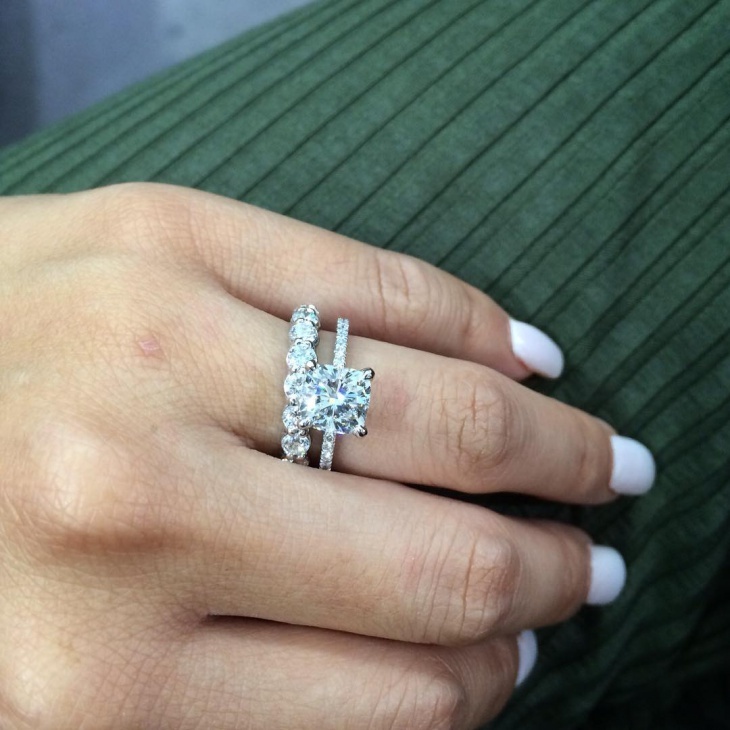 These diamonds look pretty in platinum bands. 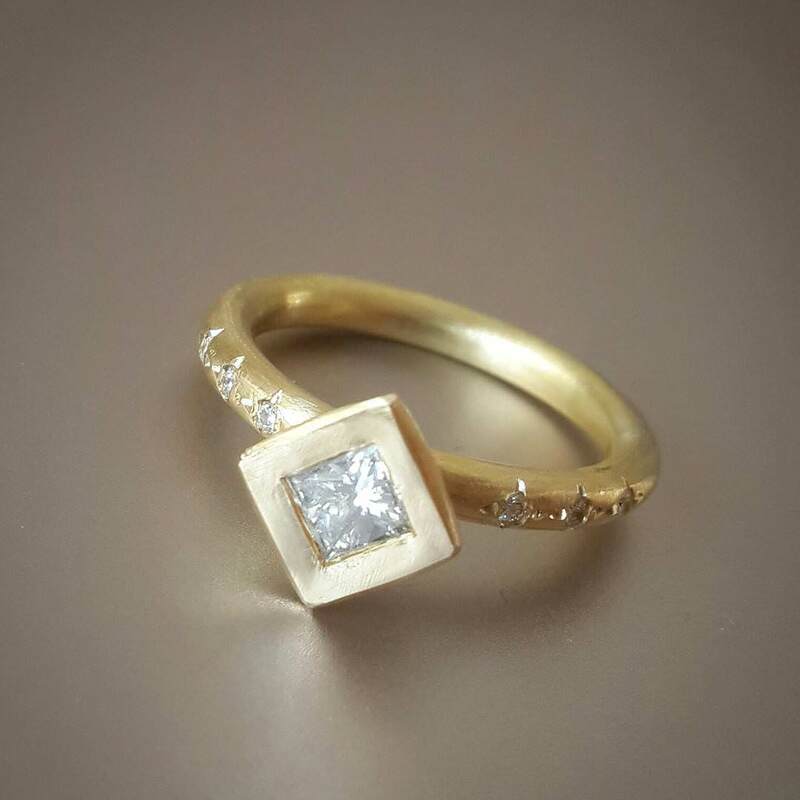 Square diamonds are very easy to find and are also value for money. One can buy a bigger diamond at the same price as compared to a round shaped diamond. 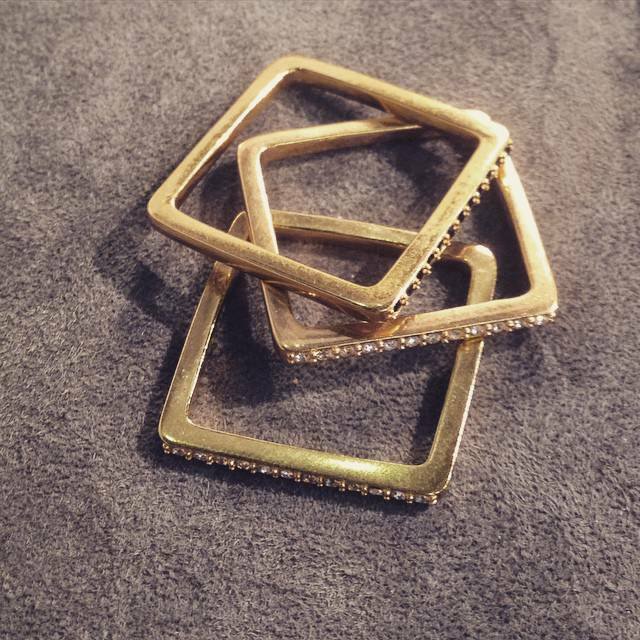 Square diamonds come with budget-friendly options. Features vary based on the type of square diamond. Colour and clarity will be different too, across the diamonds. 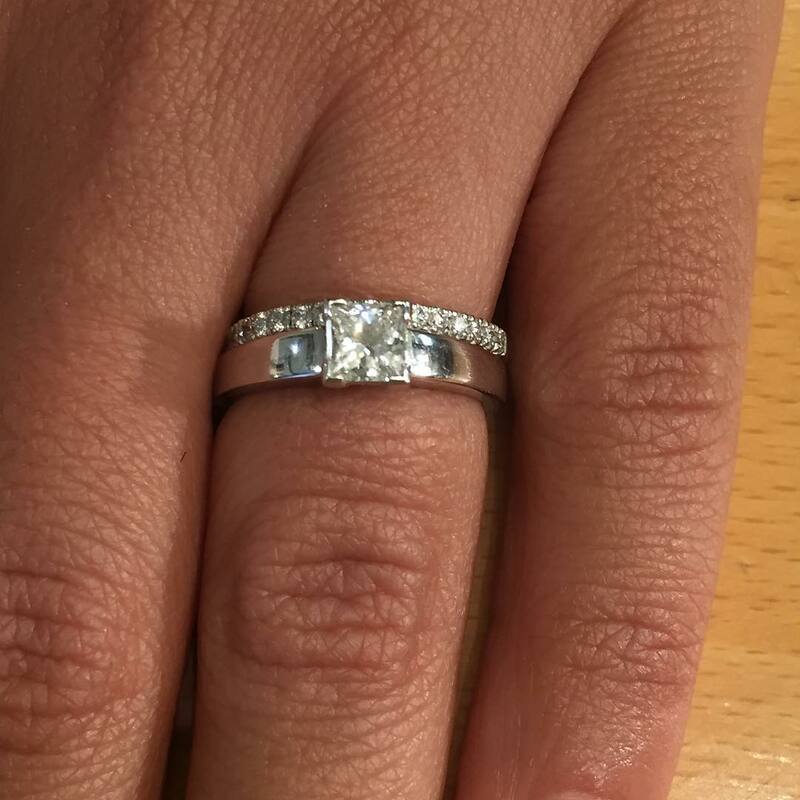 Diamonds are a beautiful option for rings, but they are not the only stone that make a ring look pretty. 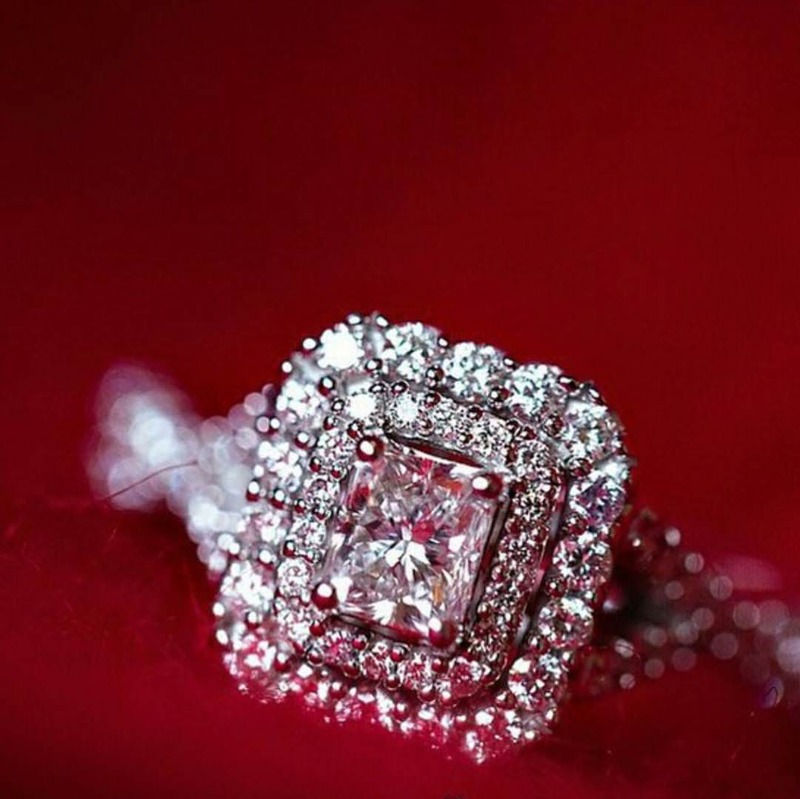 There are other stones as well which will make a ring look dazzling for an engagement or wedding. One can find sapphires in princess, radiant and cushion cut to adorn the rings. There are other various colored gemstones too, that are used to give the final ring a brilliant touch.